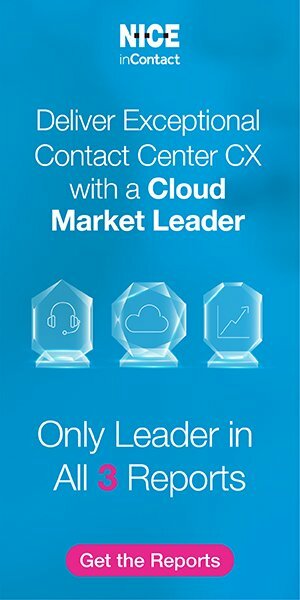 The magazine for contact center professionals. 2018 Pipeline Publishing Group, Inc. All Rights Reserved. The material on this site may not be reproduced, distributed, transmitted, or otherwise used, except with prior written permission of Pipeline Publishing Group, Inc.
Lay the foundation for a comprehensive engagement program that is integrated across the employee lifecycle. Run a search on “employee engagement” and you will find a wealth of advice in articles, blogs and guides. No doubt you have engagement strategies in place, such as providing channels for employees to voice their opinions or offering professional development resources. However, most of the advice out there is missing a crucial component: Employee engagement starts before you even make a hire. Your recruitment practices impact engagement one way or the other, so you’ll want to make sure that they promote it from the beginning. No doubt you are aware of the benefits of building teams of passionate employees who are motivated to contribute to your organization’s success. At the same time, there might be individuals in your organization who see engagement as little more than a morale booster. If so, you might share with them that Robyn Reilly, senior consultant at Gallup, strongly recommends treating employee engagement as a strategic priority. To achieve these benefits, engagement should be woven into your hiring practices. It comes into the recruitment process in two ways: You want to hire for engageability, and you also want to start proactively engaging candidates from first contact. Engageability refers to characteristics that a candidate brings—or doesn’t—to the table. An engageable candidate has the experience, skills and motivation to start making an impact in short order. A candidate doesn’t need years and years of experience to be engageable, and you can’t expect them to walk through the door fully trained. Instead, a highly engageable candidate is one who has the basic skills required of the job as well as the motivation not only to learn quickly but also to start contributing on day one. For example, it may be a couple of months before an entry-level inside sales representative becomes a true consultant to customers. But if that same person has a high degree of engageability, they should be able to start setting appointments or following an outbound script right away. As you would expect, engageability will vary from position to position. For example, an engageable customer service representative should have the ability to remain positive and solution-oriented throughout many calls during a shift. Common sense tells us that a candidate who gets rattled easily won’t stay engaged for long. But there’s more to it. In today’s talent market, the most effective recruitment campaigns leverage marketing tactics. For example, marketers develop buyer personas to help them home in on their sweet spots. Developing a candidate persona is not as difficult as you might think: Just use your top performers as models. You might use a personality assessment to identify what makes them stand out. Maybe they are passionate about helping people solve problems, or perhaps have a strong goal orientation. Then give candidates the same assessment to see if they have the right stuff. By the way, an assessment test should be part of an overall evaluation, and not the sole determining factor. Based on some 30 years of engagement research, Dr. Jack Wiley, Manchester University professor and chief science officer at Engage2Excel, has determined that almost all highly engaged employees share a common trait: the motivation to go above and beyond. As you interview, ask candidates to tell you about a time they took initiative or went the extra mile to help a customer solve a problem. Homing in on the right talent offers other benefits, including reducing time to hire, preventing top talent from slipping through your net, and strengthening your employment brand. In addition to hiring for engageability, you should be proactive about engaging candidates in your company’s culture and vision as part of the recruitment process. It will lay the foundation for strong engagement once a candidate becomes an employee. In addition, you want every candidate to have a positive experience with your company, whether or not they are hired—those candidates could become customers. Your employment brand is important. It forms candidates’ first impressions, and your company will be judged by it. It’s important to be authentic and stay true to the brand. If not, people will call it out on social media. Essentially, your employment brand lives online. A Pew Research study indicates that 79% of Americans use online resources such as Glassdoor in job hunting. But the employment brand is just one part of engaging candidates. To maximize your impact on candidates, you need to take your message a step further, to customize it for every position. Think about it: Your employment brand is necessarily all-purpose. It can work as well for a CFO as it does for an inside sales representative. Scan the job boards and you will see lots of companies offering “great benefits” and “growing company.” Both are important, but they don’t differentiate your opening from all the others on the market. Use what you have learned from your top performers and craft a story that will appeal to people with right characteristics for each position. In today’s market, candidates and employees are more like customers or partners and less like subordinates. Borrowing more from the marketing department, think in terms of customer engagement. Surely there is more to each of these positions in attracting the best talent. For example, for the inside sales role you may have discovered that your top performers have a strong goal orientation and a competitive spirit. Instead of going to market with, “Earn great benefits at a growing company,” home in on your target talent with something like, “Bring your competitive spirit to a company that rewards accomplishments.” Added bonus: This approach not only attracts the right people, but it also can let the wrong people know to keep looking. Weaving employee engagement into your recruiting process helps lay the foundation for a comprehensive résumé-to-retirement engagement program. Professor Wiley asserts that a solid program is well integrated across the entire employment lifecycle, and incorporates the things he has found to drive engagement: Recognition, Exciting work, Security, Pay, Education, Conditions and Truth—or RESPECT. The labor market is changing. The war for talent is as competitive as it has been in decades, and the nature of work itself is evolving: Workers, for example, are required to be more independent today. More importantly, the demographics of the labor force are changing. People today view employment as an experience, with an emphasis less on work-life balance and more on work-life blend. If several of the elements in RESPECT don’t match with and fulfill an employee’s life goals, that employee isn’t likely to stay. That makes it all the more important to attract and retain employees who are a good fit. Values are changing, as well. In 2015, millennials (ages 20 to 36 in 2017) passed Gen X to become the largest generation in the U.S. workforce, according to the Pew Research Center. They make up more than one-third of the workforce today, and a Brookings report projects that they will comprise 75% of the labor force by 2025, less than 10 years away. Most of us believe that millennials have different motivations, but it is now essential that we truly understand those motivations to effectively engage these employees. There is confusion. For example, a Beyond.com survey found that, while 81% of millennials surveyed described themselves as being loyal to an employer, only 1% of HR professionals surveyed believe millennials to be loyal to employers. That suggests that the notion that millennials embrace job-hopping as a career strategy is a misunderstanding. It may be that employers don’t truly understand what is important to millennials, and aren’t offering the things that match with millennials’ life goals and values. No strategy or program can be all things to all people, but you want to be sure you are working with valid information and assumptions. That means data is as important to employee engagement as it is to performance management and financial planning. Understanding candidate values will help you optimize sourcing, recruitment marketing and onboarding activities. For example, Engage2Excel’s “2017 Trendicators Report: What You Need to Know about Today’s Job Seekers,” finds that 81% of millennials and 55% of Gen Xers consider recognition and praise to be important during the hiring process. Turn that into a tactic: When you first reach out to a management candidate, for example, mention that you noticed they were instrumental in increasing first-call resolution rates in their previous position. That simple personal touch helps warm up the engagement process. Millennials also feel more strongly than other generational cohorts about socializing with other employees of your company prior to the hire, according to the same report. Many companies will invite highly qualified candidates to company social events, or hold the first face-to-face interview at a restaurant rather than in a conference room. The restaurant setting is much more relaxed and might also give you deeper insight into the candidate’s culture fit. Your overall company culture and human capital strategies should account for every one of the RESPECT drivers at each stage in the employment experience lifecycle, including rewards and recognition, ongoing professional development and more. But it starts before an employee has even read your position posting. © 2019 Pipeline Publishing Group Inc. All Rights Reserved.